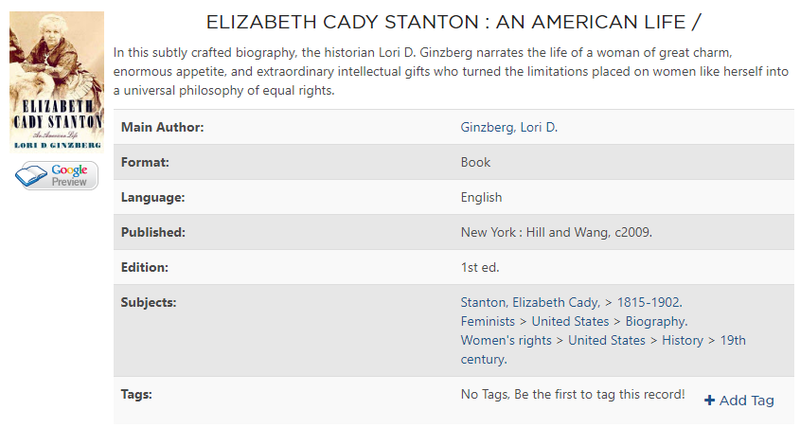 On this day in 1815 Elizabeth Cady Stanton was born. Her extraordinary life was spent as a suffragist, abolitionist, social activist, and a leading figure of the early women’s rights movement. Falvey Memorial Library has numerous items in its collection that relate directly to Elizabeth Cady Stanton’s life as well as her impact on women’s suffrage and the Women’s Movement. If you would like to know more, click any of the images below and it will take you to that item in our collection.